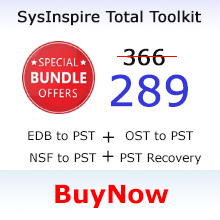 Repair OST file even when OST file corrupted and no any way to restore OST file then try SysInspire OST to PST Conversion Software and easy, quickly repair OST file and restore OST mailbox with all details including OST email messages, attachments, embedded attachments, appointments, distribution lists, journals, tasks etc. 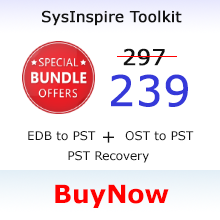 The software helps all time to recover OST file to PST, EML,EMLX, MSG, MBOX and VCF files. 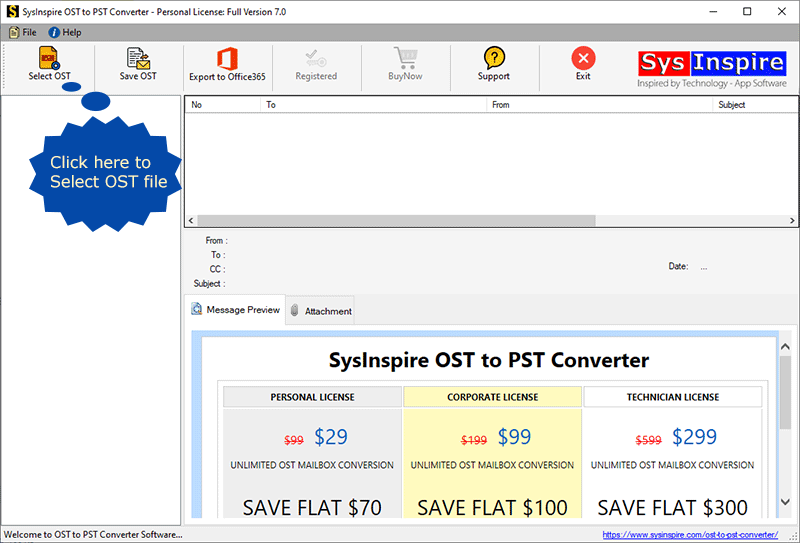 Download freeware OST to PST Converter/ Exporter software from SysInspire Official Website and install on your computer. Select OST file by clicking on "Browse" button. 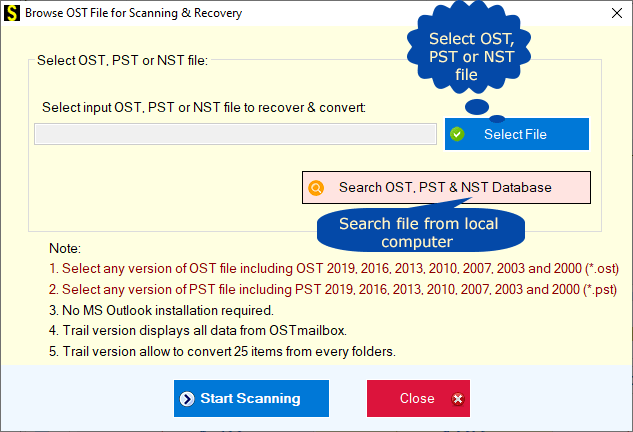 To see the OST recovery result, click on left panel folder tree and expand it.. After that click on OST folders to check the live preview of every items. 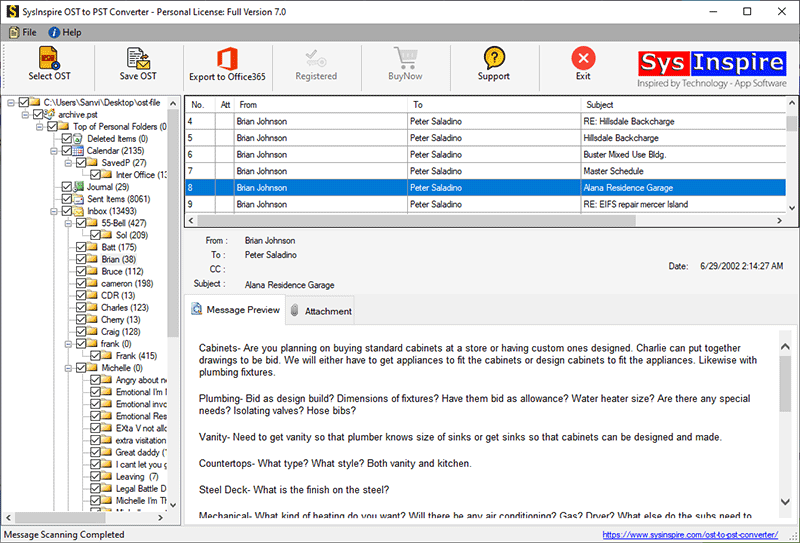 Outlook EML file - Export individual OST messages to EML files. 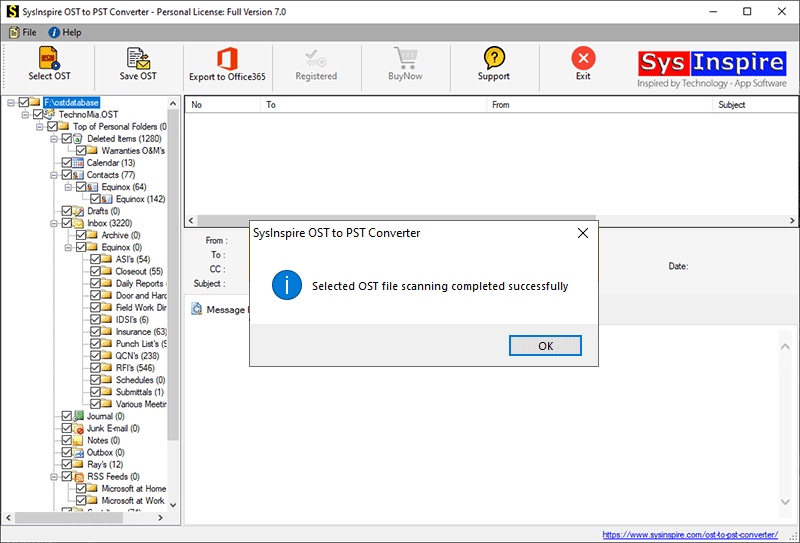 Outlook MSG file - Export individual OST messages to MSG files. 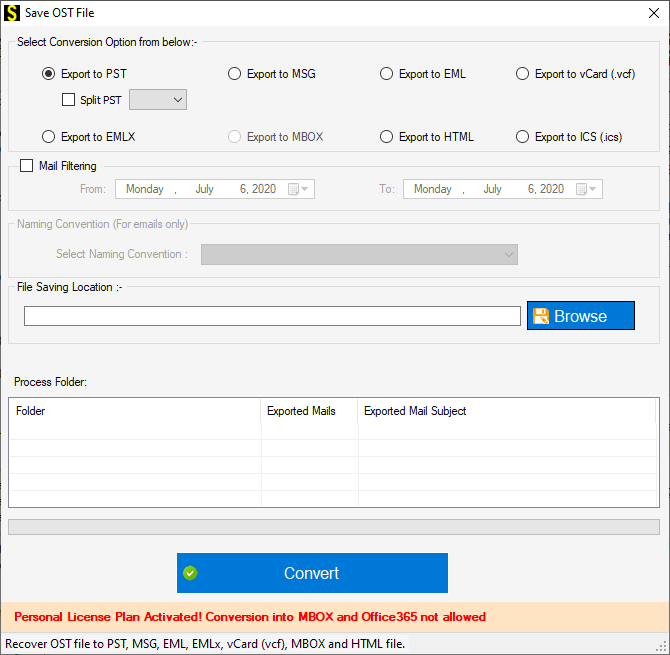 EMLX file - Export individual OST messages to EMLX files. VCF (vCard) file - Export OST Contacts to vCard (*.vcf) file. 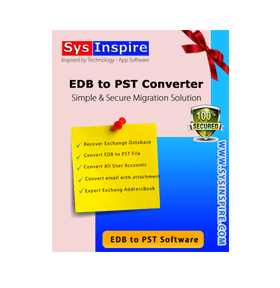 Select your required conversion option and also select the File Saving Location Path and convert your OST file. 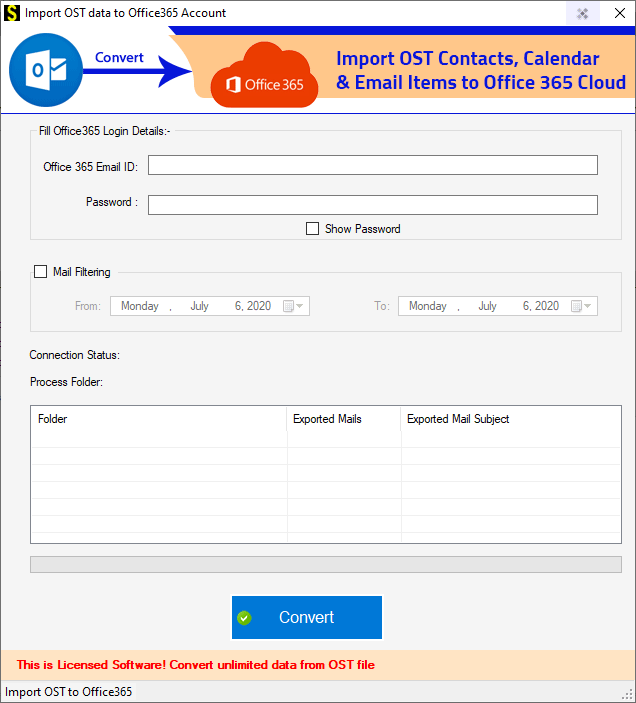 Fill your Office365 login credentials and quickly import OST to Office365 with all email messages, contacts items and calendar items. 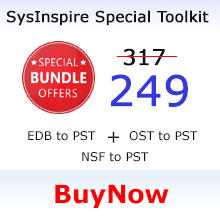 © Copyright SysInspire Software™. All rights are reserved.